Are, Hall of Gods and Mega Fortune, two of your favourite games? Or perhaps you’ve just discovered them and the massive progressive jackpots they offer. If so, well you’re in luck! Indeed, Rizk and Casumo in cooperation with NetEnt are giving away £120,000 in prizes via a Network promotion. So, what could be more exciting than to have the chance of boosting your account with some extra cash by playing the games you love. And the best of all is that all winnings from the Hall of Fortune promotion are entirely wager free. Which essentially means that you can do whatever you want with them. Intrigued? Well, keep on reading to get a breakdown on how you can take part in this promotion. To join the promo, it’s as simple as this headline! Indeed, you only need to wager £50 on Hall of Gods or Mega Fortune to get your hands on one raffle ticket. Think about it! 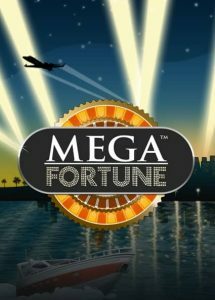 Not only do you have the chance of winning a jackpot on Mega Fortune or Hall of Gods. But you also get the opportunity to pick up some free cash along the way! And of course, you’re free to claim more than one ticket. In fact, for every £50 you wager, you’ll get another ticket in the raffle. So, the more you play, the more chances you have to get your hands on prizes. As mention above, the total prize pool is worth £120,000. And it’s broken down between 3,000 lucky winners. To sum up, one happy player across the network will win the grand prize of £10,000. Then the prizes are divided like this 3x £7,500, 3x £5,000, 3x £2,500, 9x £1,000,10x £500, 15x £250, 105x £100, 105x £50, 256x £25, 2,510x £10. The promotion ends at 22:59 GMT on Saturday the 23/03/2019. NetEnt will draw the winners on 27/03/2019. So don’t miss out, there only a few days left for you to qualify at Casumo or Rizk Casino!